It’s not every day a new browser is released. The market has not seen a new entrant for some time but Vivaldi v1.0 is now available to download and install on Windows, Mac and Linux. Do We Need a New Browser? Browsers have been gradually converging since Chrome appeared in 2008. Vendors strive for simplicity with minimal interfaces and easy user experiences. There’s nothing wrong with that approach, but the applications have become interchangeable. Few users would notice if you swapped Chrome for Edge or Opera for Firefox—the launch icon is the primary difference. 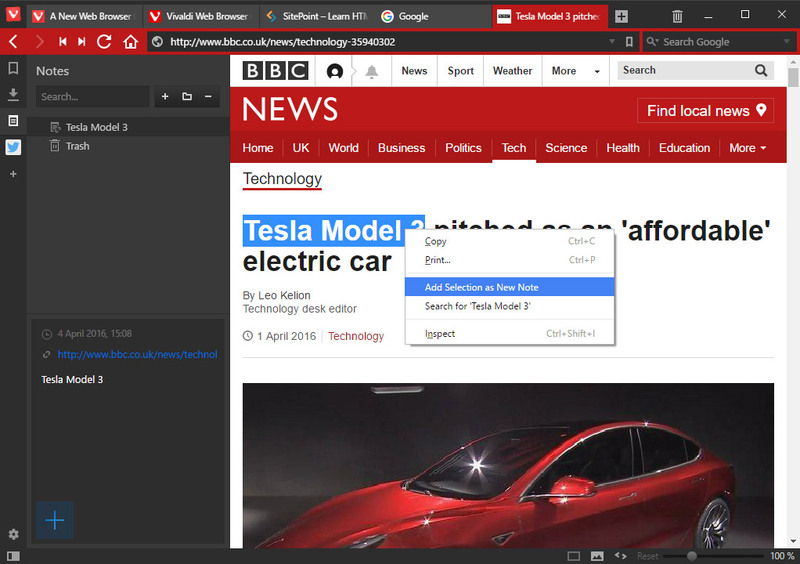 A few years ago, technical users could rely on Opera or Firefox plus extensions for a highly customizable browsing experience. In 2013, Opera abandoned its own Presto engine, adopted Blink and simplified the UI. Mozilla continues to remove less popular features—a recent casualty was tab groups. A gap in the market has opened for those who want more power. Vivaldi was created by a team of ex-Opera developers led by Jón S. von Tetzchner. (Read my interview with Jón about Vivaldi 1.0.) The philosophy: to create “A Browser for our Friends”—something they wanted to use. The result is a browser which sets itself apart from the competition. 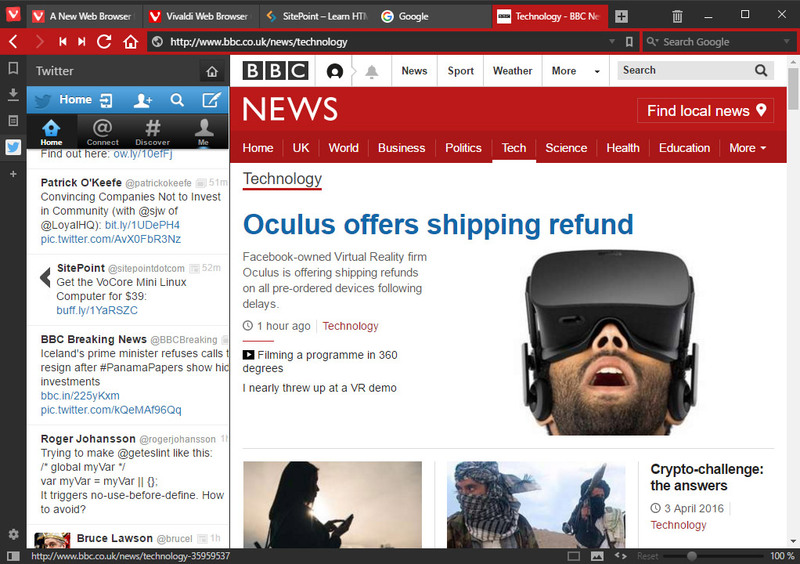 Like Chrome and Opera, Vivaldi is based on the Blink rendering engine. It’s a dependable choice that offers good web standards support, extensions and developer tools. 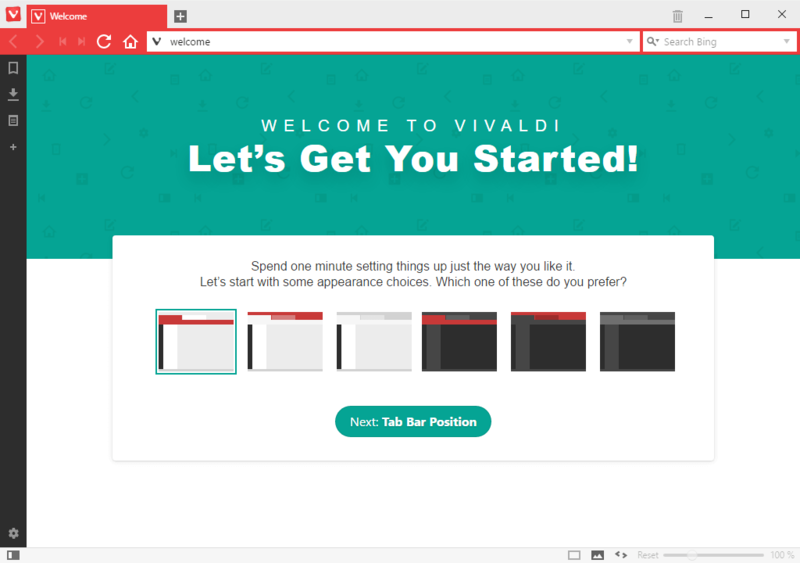 Unusually, Vivaldi’s interface is also implemented using HTML5 technologies, which allows rapid cross-platform development, great customization and some interesting future options. Like Edge, a dark theme is provided—I hope other vendors will follow eventually. That said, Blink sometimes sneaks into view, such as on the History panel which is always black on white regardless of what color scheme you choose. You’re not prompted to import bookmarks or passwords, but the Bookmarks tab on the Speed Dial screen provides the option. Settings are logically arranged, well named and mostly obvious. I didn’t feel overwhelmed like I did in older editions of Opera. You can show the full URL including the query string. Opera and Safari take note—web developers usually need to see it! It’s subjective, but Vivaldi is the most attractive browser available—not that there’s much competition! The interface is clean and configurable; tabs and panels can be moved wherever you desire. 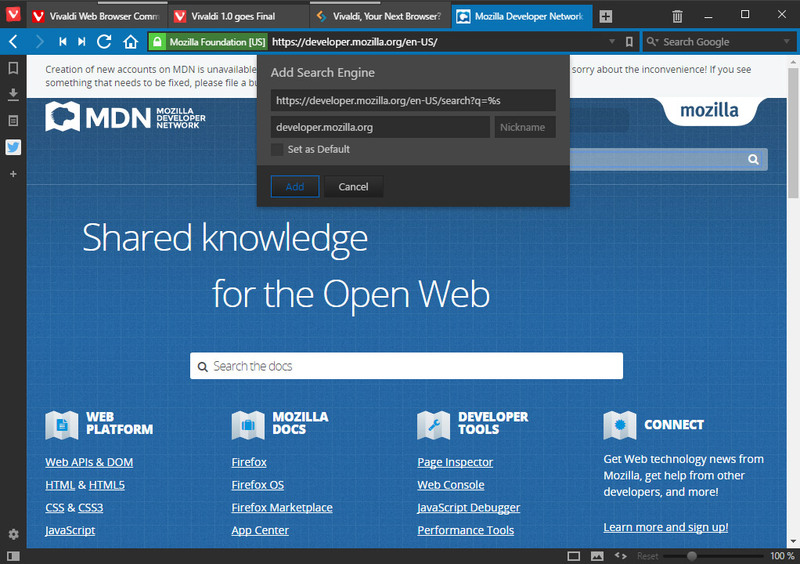 The active tab and address bar background use the dominant color of the current web page. It sounds gimmicky—a little like the Ambilight backlight offered on some Philips televisions—but it works remarkably well. If you’re happy to use the keyboard or mouse gestures alone, the whole user interface can be disabled to provide a distraction-free experience. The only issue I encountered is that fine mouse control is required to stack tabs. Unstacking is less elegantly handled using a right-click menu rather than more obvious dragging. 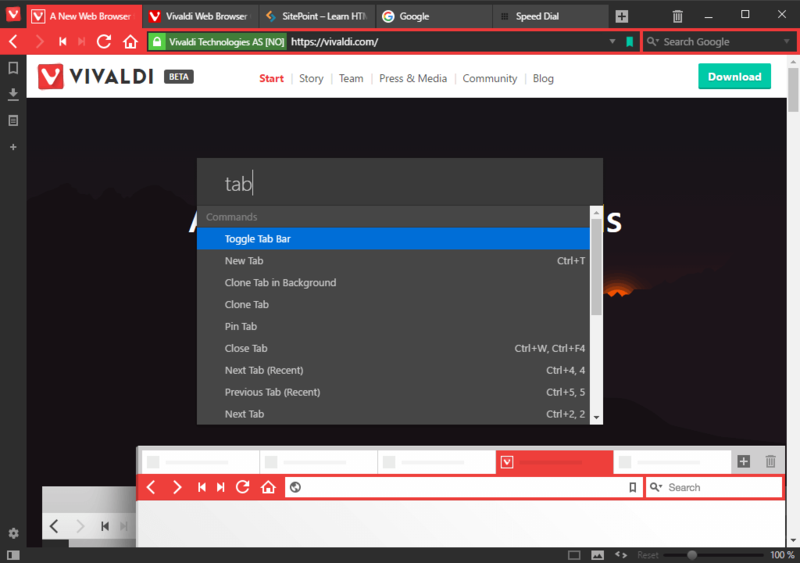 By default, Vivaldi opens your previous browsing session tabs. Tabs can be set to load on activation, which makes startup faster (Firefox has had that for a while, Opera has just received it, but Chrome and Edge continue to load everything). Your active tabs can be saved as a session (File > Save Open Tabs as Session) then reloaded later (File > Open Saved Session). It’s a useful feature which offers many of the benefits of tab grouping without keeping tabs active. The interface could be improved, and I’m not sure why tabs are restored in reverse order to how you had them positioned? 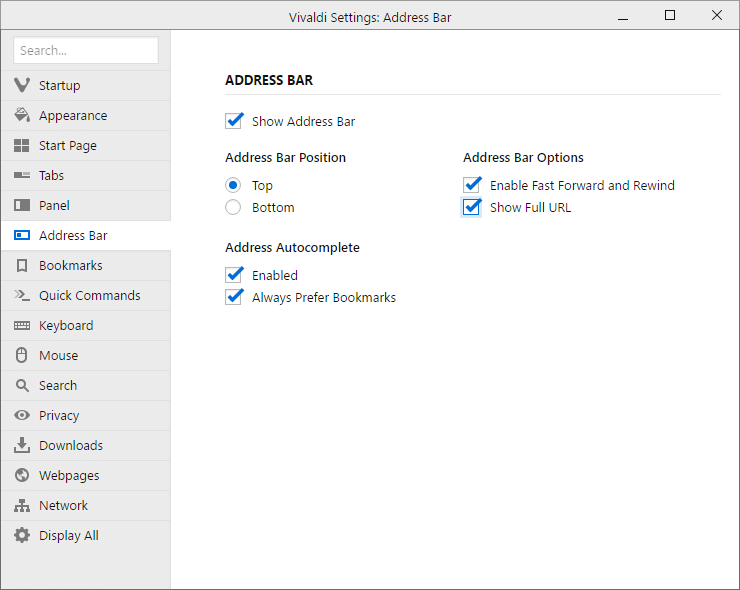 The side panel is one of the core features Opera users loved. Version 1.0 provides panels for bookmark management, downloads and notes. Notes can be stored about a web page by highlighting text and choosing Add Selection as New Note from the right-click menu. Notes aren’t as sophisticated as those found in Edge, but they are handy and easy to use. This works well for sites and tools such as Twitter, which provide a narrow responsive view. Other systems may be less effective. The page weight and number of assets is displayed in the address bar as a page loads. You can finally shame obese websites, although the figures disappear once loading completes (an option to retain them would be useful). The Fast Forward and Rewind buttons allow you to quickly navigate through the history or search results. The Status Bar provides a zoom slider, image toggle and page actions to apply useful (and less useful) effects to the active content. Use any folder as your bookmark bar. 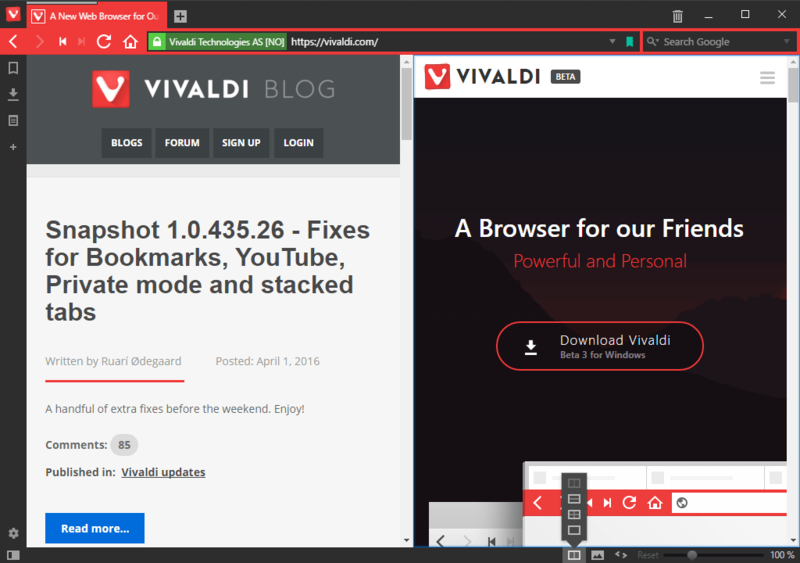 Despite the number of features offered, Vivaldi is fast. The application launches slightly quicker than Opera and significantly faster than Chrome or Firefox on Windows. Only Edge has … a slight edge on startup speed. Web page rendering is almost identical to the other Blink-based browsers. However, Vivaldi appears to use fewer processes and a little less memory than Chrome or Opera. Stability has improved and I’m yet to experience any issues. Vivaldi 1.0 smooths the rough edges found in previous betas. It looks great and feels complete, cohesive and stable. anyone concerned by Chrome’s increasing bloat and privacy issues. Vivaldi may not have the commercial clout to attract mainstream appeal, but it’s a refreshing change in a listless browser market. The company promises to listen to users; features will be added on demand, and they won’t remove those used by a minority. You might also enjoy my interview with Vivaldi CEO Jón S. von Tetzchner.